Well, it’s that time of year when you turn on your florescent light fixtures and start some vegetable seedlings for transplant into the garden. 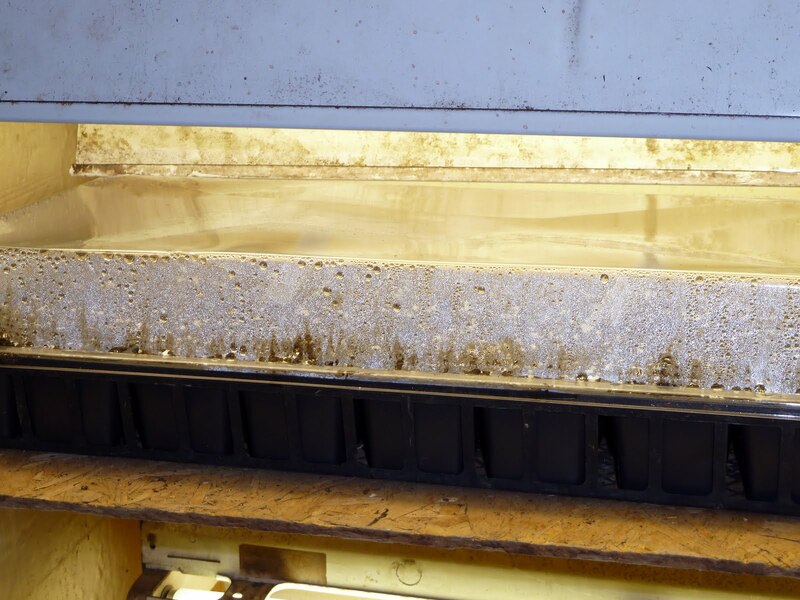 But before you start planting seeds, you should check your fixtures for cleanliness and replace florescent tubes that have seen over 1500 hours of use. The intensity of the light (lumens) from the florescent tubes drops off with use. For my setup, I replace my tubes every year, since most of my fixtures see both spring and fall usage. All of my fixtures are salvaged fixtures, some with new ballast and use two four foot 40 watt bulbs, one warm white and one cool white bulb. 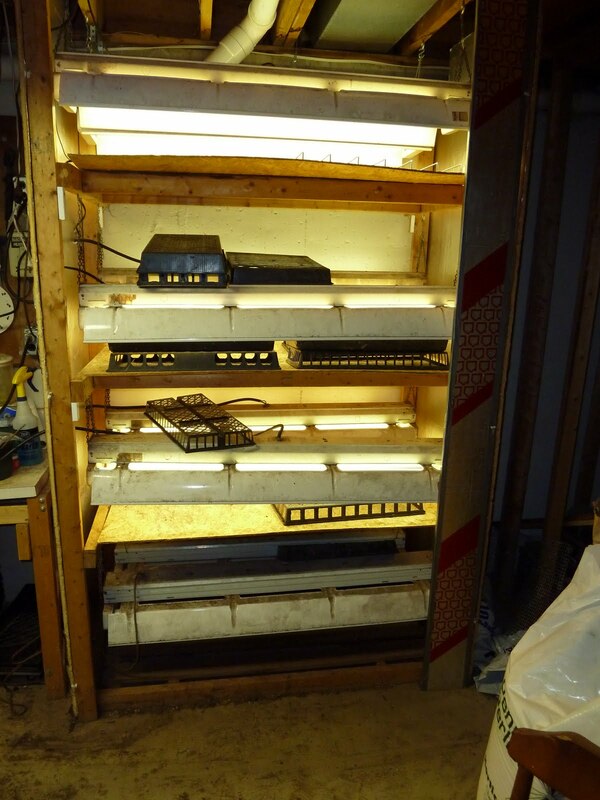 Use of these two types of bulbs provide a broader light spectrum and grow healthy vegetable transplants.My light box has four shelves, the top three for seedlings and the lower shelf for starting tall plants like dahlias. The light box is enclosed in half inch foam board to trap heat given off by my florescent fixtures. The top shelf is used to start most seedlings and that is where my two heat mats are located. To start seeds, I just plant them at the recommended depth In commercial seed starting mix and put a clear plastic dome on top of them. Depending on the type of seeds being started, they emerge in three to five days at which time the clear dome comes off and the seedlings are raised to within an inch of the light. Its very important to keep the plants close to the lights since the intensity of the light (lux) drops off precipitously as the distance from the source increases. Seedlings get watered as needed and moved out of the light box onto a sheet of plywood over which I have other florescent fixtures mounted. Currently, I’ve started a flats of broccoli (Packman), cauliflower (Snow Crown), leeks (Tandorna), kale, bok choi, lettuce (Red Sails and Butter Crunch), spinach and kohlrabi. These flats will be ready to move into my cold frames about the last week of March. They’ll remain in the cold frames for about a week and then be transplanted into the garden under row cover. You have a great setup, Kent. 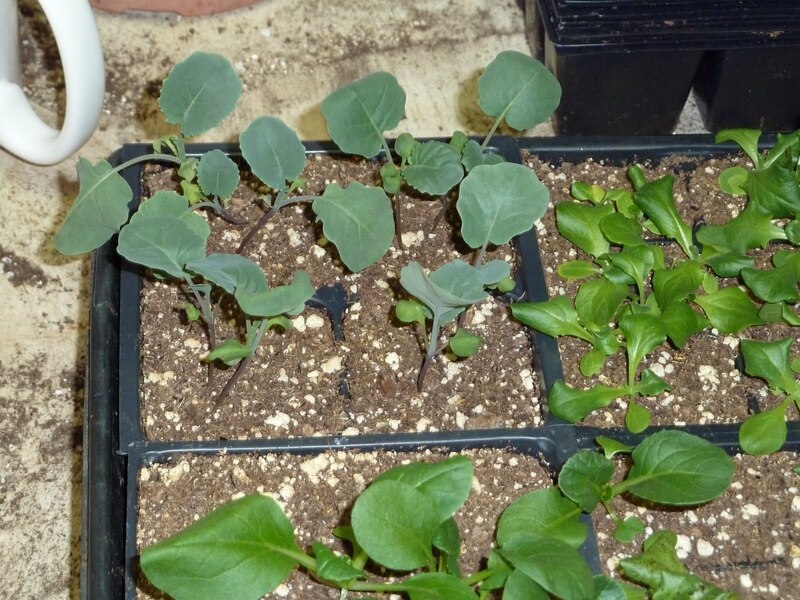 Your seedlings think it's spring while your soil is still frozen solid. You'll be direct-sowing a second crop while we're still thinking about our first. This year I got rid of my cheapo shop lights w/ unreliable ballasts and upgraded to the $20 shoplights w/ better ballasts. They take a slimmer tube, but you can find them in “natural daylight” that put out nearly 3000 lumens. A huge improvement over my old setup, in terms of light levels. So I have a wire shelving unit from Target with two fixtures side by side, suspended on chains per shelf. So far I've got swiss chard, lettuce, parsley, kale, broccoli raab, chives, and leeks all growing under the lights.